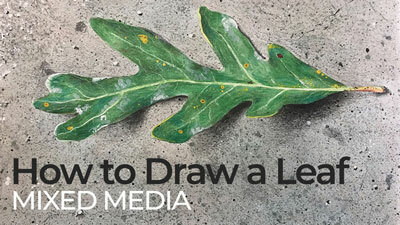 In this recorded Live Lesson series, we take a look at drawing a fairly simple landscape with oil-based Polychromos colored pencils by Faber-Castell. The drawing is developed on 100% cotton Stonehenge paper. The video above features excerpts taken from this Live Lesson series. The recorded lesson series (5 hours) is available to members here. Oil-based pencils are used in this lesson. While similar results can be achieved with wax-based colored pencils, application techniques do differ slightly. Layering colors is important in any colored pencil drawing – no matter if the artist uses the more common wax-based pencils or the lesser available oil-based pencils. 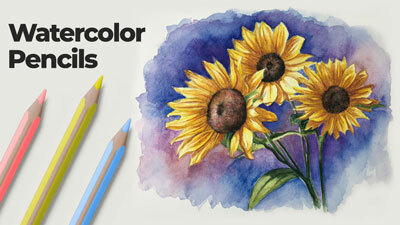 The oil-based pencils encourage layering a bit more which often leads to stronger depth in the color. Applications made with the oil-based pencils are noticeably less intense and are also influenced a bit more by the tooth or texture of the paper. 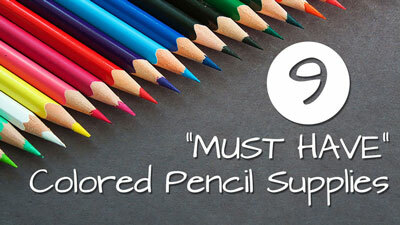 They are also quite a bit softer than some of the wax-based pencils available on the market. Clearly, the surface also plays an important role in the look and feel of the finished work. The surface is many times just as important as the quality of the material used. In this lesson series, Stonehenge paper is used. This premium paper features a light tooth. Since the paper is 100% cotton, it is quite soft. The softness of the paper means that it is more susceptible to indentations that can be produced by a pencil when heavier pressure is applied. 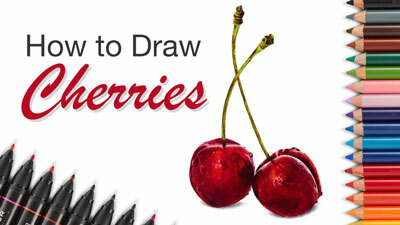 Artists should be aware of this especially if the initial sketch is created with graphite. This particular paper matches nicely with the light applications produced by the oil-based pencils. The tooth of the paper combined with the softer oil-based pencil applications creates a grainy appearance that may be preferred by some artists.